With views over the Orchard and fields beyond this character cottage consists of an open plan living/kitchen/dining space which opens out on to a private enclosed terrace through glazed double doors, ideal for outside entertaining. The kitchen area has a cooker, fridge freezer, microwave and washing machine, and ample cupboard storage. The sitting area consists of corner sofa, flat screen TV with freeview, and a dining table that seats six. 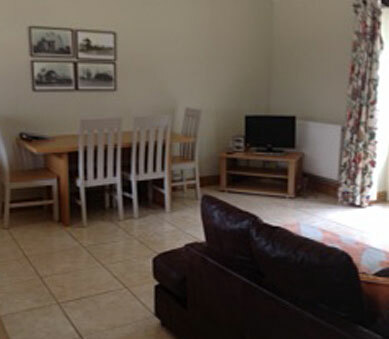 The three double bedrooms can be twin or double beds all have orchard views. The bathroom/wet room has a large walk in shower, wc and basin. Free wifi, bed linen and towels supplied and inclusive of all heating costs etc. With views over the orchard and fields beyond this character cottage consist of an open plan living/kitchen/dining space which opens out on to a private enclosed terrace through glazed double doors, ideal for outside entertaining. The kitchen area has a cooker, fridge, microwave and washing machine, and ample cupboard storage. The sitting area consists of a corner sofa, flat screen TV with freeview, and a dining table that seats four. 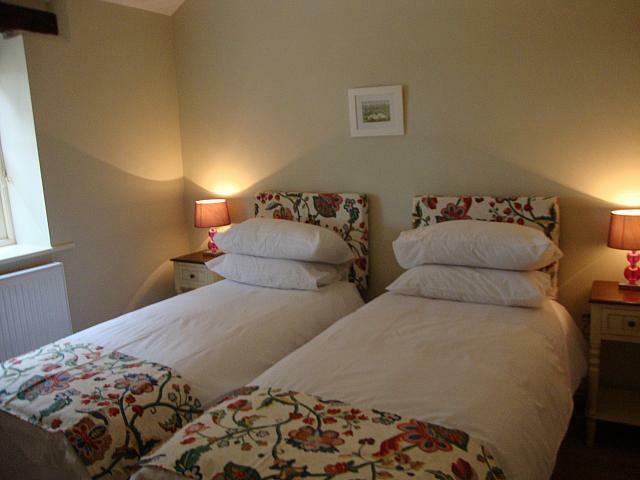 The two double bedrooms can be twin or double beds all have orchard views.